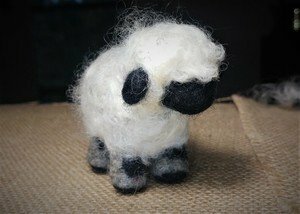 Create this cuddly cutie while picking up the baaaaa-sics of needle felting (yes, we had to go there!). Instructor Leah will share her passion and expertise as she walks all levels of experience through the process of making needle felted sculpture. Sheep stands 3" tall. Kit fee of $15.00 payable in cash to the instructor on the day of the workshop.